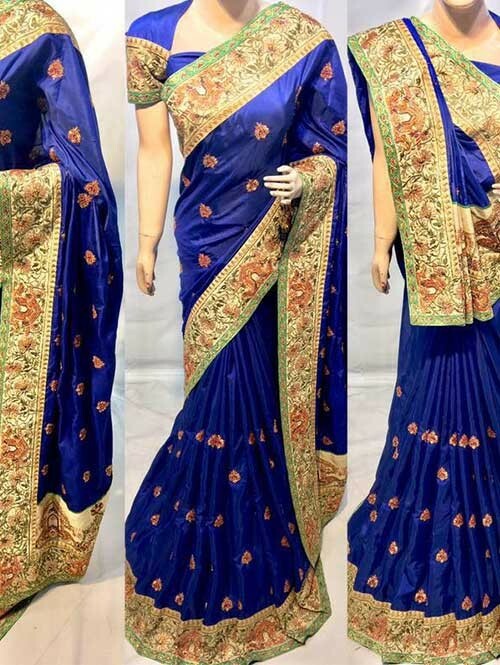 Look ethnic and traditional by draping into this gorgeous Blue color saree beautified with excellent embroidered work. This designer saree is made from silk fabric and is an ideal attire for festivals and religious ceremonies. 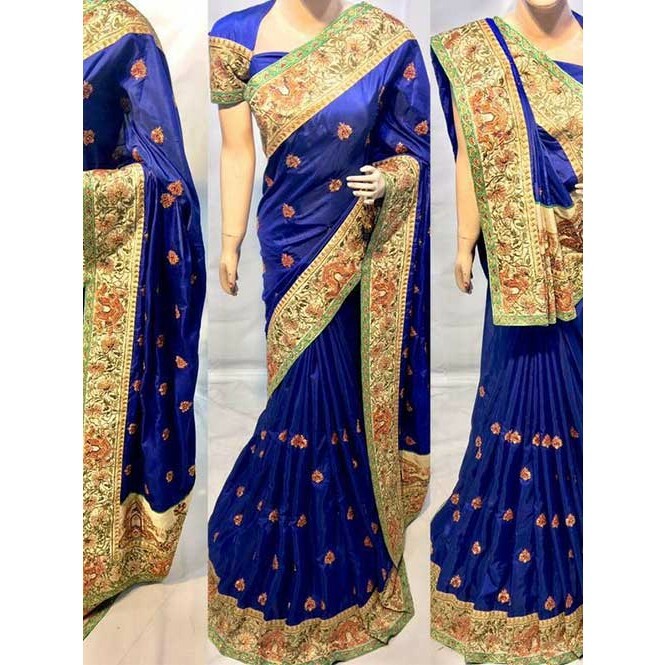 The saree comes along with silk fabric unstitched blouse peice. This saree measures 6.30 m, including a 0.80 m blouse piece.